The north Bihar divisional head quaters town of Muzaffarpur selected in August as one of just three cities in BIhar to be developed as among 100′ smart cities in the country has now made its mark for its high air pollution. 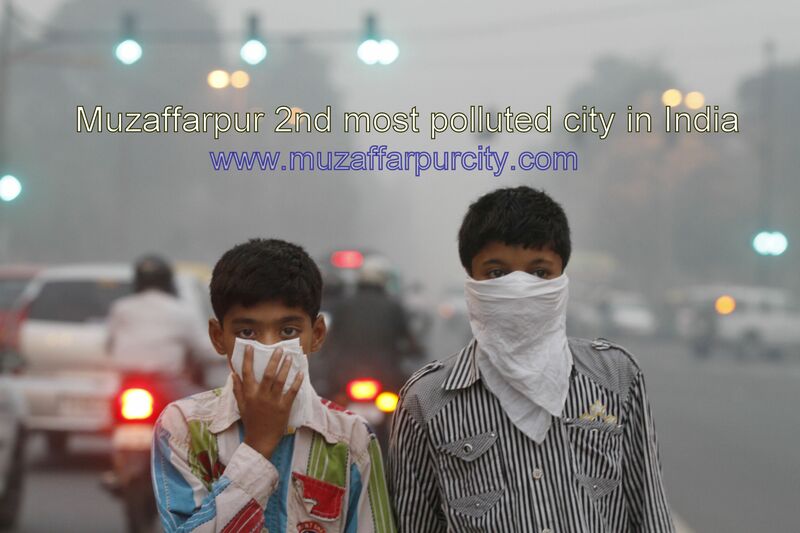 As per newly relased central pollution control board (CPCB) data, Muzaffarur has emerged as the second most polluted city of the country, after Lucknow, recording 407ppm by way of air pollution. The town of ‘Nawabs’, Lucknow has topped the chart with 452 ppm of air pollution figures draw upon the data collected by the 31 data collection centres spread across eeleven states of the country by 6 pm of saturday i.e on 28th of Nov. Its high pollution figure may be deemed as set back for Muzaffarpur in selection as Smart City.